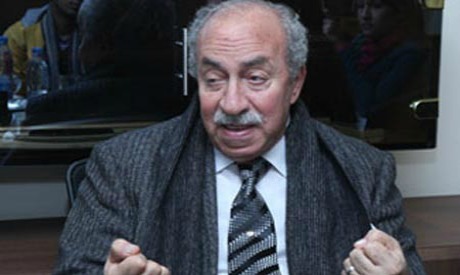 Screenwriter and producer Mamdouh El-Leithy, famous for writing the screenplays of several Egyptian cinema classics, died early Wednesday morning, 1 January 2014. The funeral was held at noon in Mostafa Mahmoud Mosque in Mohandeseen. El-Leithy was born in 1937. He received a bachelor of arts in law and a bachelor of science from the Police Academy in 1960. He then studied screenwriting at the High Cinema Institute, graduating in 1964. He started his professional life as a journalist, writing short stories for magazines like Rose Al-Youssef and Sabah El-Kheir (Good Morning), and later worked as a policeman between Cairo and Fayoum until 1967. Acknowledging his deepening love for cinema and the arts, El-Leithy switched careers and held several positions in Egyptian television, including head of the Films Department. But his relationship with cinema was not restricted to managerial positions. He wrote the screenplays for several Egyptian classics, including Amira Hobby Ana (Amira, My Love, 1974), and was especially well-known for his screen adaptations of Nagib Mahfouz's novels, such as Miramar (1969), Tharthara Fawq Al Nile (Chitchat on the Nile, 1971), El-Sokareyya (Sugar Street, 1973) and Al-Karnak (1975). In total, El-Leithy was involved in 164 films, 600 documentaries and 1,500 hours of drama and entertainment written for TV. He received several awards from the state for a number of his screenplays, including Al-Mothneboun (The Guilty, 1975).